Flora Delight was established in 2007 by two enthusiastic flower growers of Dutch origin, which had years of experience with cultivating in different parts of the world, including Kenya. 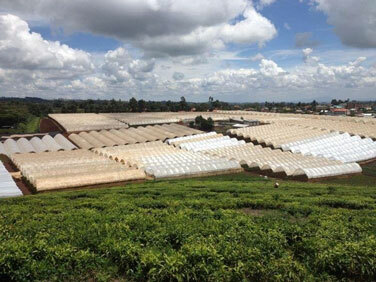 A new farm was set up at a location 25 km northwest of Nairobi, in the hills of the so-called Tea Area (region Limuru). The current farm covers an area of ± 20 hectares at an altitude of 2300 meters. The production area for the Hydrangea is currently about 18 hectares and expansion for the coming years has already been put in motion. Flora Delight’s Partners in the Netherlands provide for the marketing and sales of the Flora Delight Hydrangea in Europe. In addition, they provide technical assistance on cultivation, marketing and sales activities. Thus, jointly working towards an optimal situation for both the production and the sale of Flora Delight Hydrangeas.